Five round brilliant cut diamonds with a total weight of over one carat mounted in a rub over (bezel) setting. 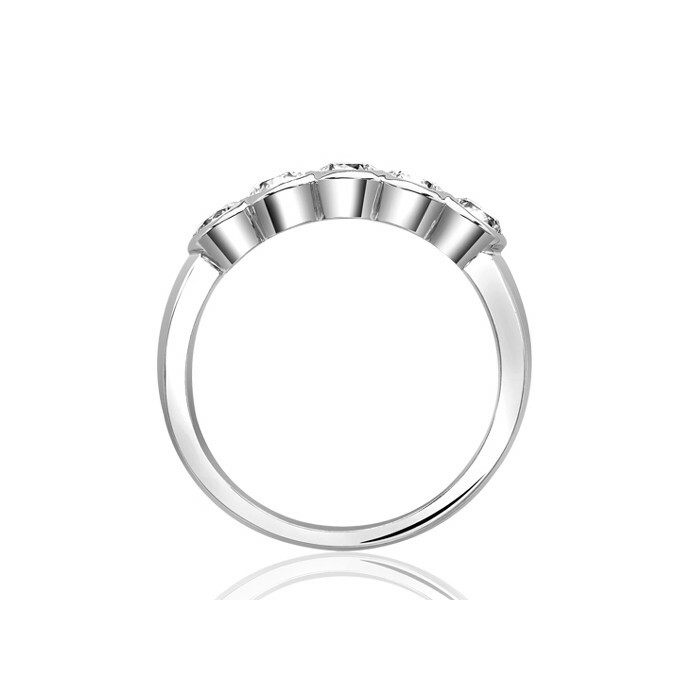 An ideal eternity ring for those who prefer the safest of setting styles. Available in other diamond sizes, numbers and metal types. Please contact us for details.